The Aspire TC is the perfect PC to tackle any task. From basic computing to multimedia entertainment, its a robust hub for your every computing need. Driven by an 8th Gen Intel Core i3 processor and 8GB of memory, this sophisticated black chassis design delivers plenty of speed, power and storage so you can play, create, do and enjoy more all day, every day! 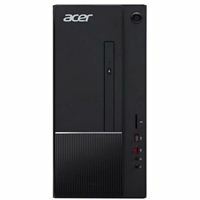 Easily expandable and with remarkable performance, the Aspire TC Series desktop is the perfect partner when it comes to demanding tasks like video editing and compiling photo albums. And it offers front-panel media access so you can easily connect to your digital devices!